Looking for a new car is exciting! If you’re leaning towards a luxury vehicle-say, a BMW for example-you’ll want to do as much research as possible to ensure you’re getting the model that’s perfect for your lifestyle. 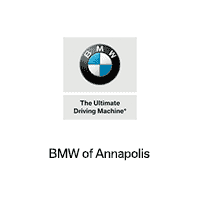 Our team at BMW of Annapolis has put together these BMW reviews so that drivers in Annapolis, Highland Beach, and Hillsmere Shores won’t have to go far to get the details of all things BMW. When you decide to purchase a new vehicle, you’ll want to get as much information as possible about it. For example, if you need a sedan to commute back and forth to work, like the BMW 320i, you’ll want to know about its gas mileage and technology features. Perhaps it’s an SUV you need to upgrade to for your growing family, like the BMW X5. You might then want to check out the cargo space and safety ratings. In any case, our vehicle reviews will give you all of this information and more. When you click on the link to the review of your desired BMW model, you’ll be taken to a new page that will give you all of the details of your potential next car or SUV. Such details include technology features (and what they do! ), like touchscreen infotainment systems and smartphone integration. You’ll also find out about the engine power and performance, including MPG ratings, and the safety ratings and features that come with your BMW. What more could you ask for than having all the information you need right in front of you? With our BMW reviews, you won’t have to go any further than our website to get all of your BMW vehicle details. To get started, just click on your potential new BMW model. If you can’t find what you’re looking for or have any questions regarding one of the models, don’t hesitate to contact us at BMW of Annapolis! Or, if you’re in the area of Annapolis, Highland Beach, and Hillsmere Shores, schedule a test drive today to get your own hands-on review of your next BMW!